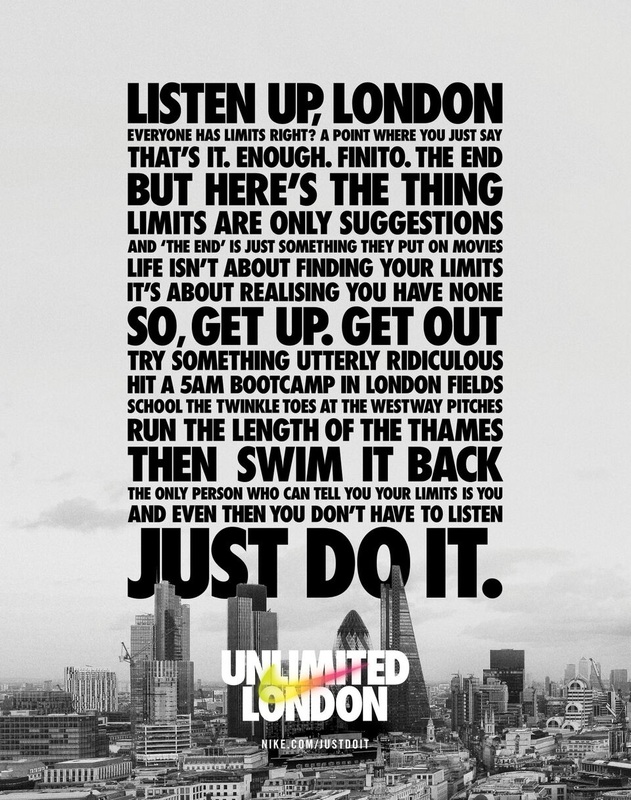 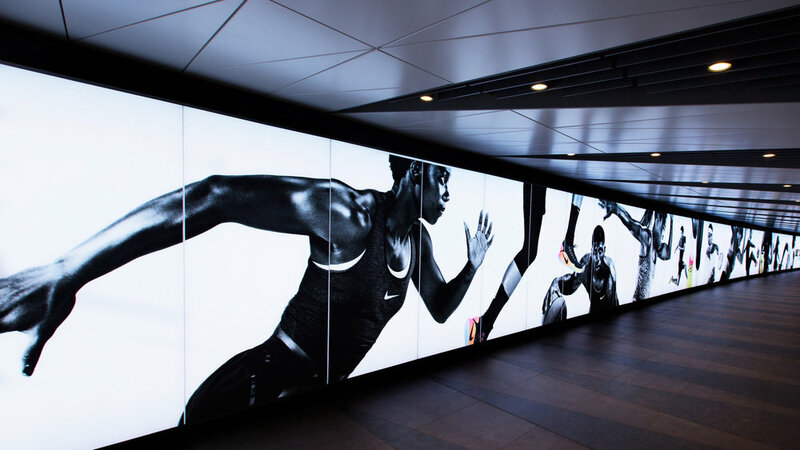 During the Rio Olympics in 2016, Nike ran their global 'Unlimited' campaign. 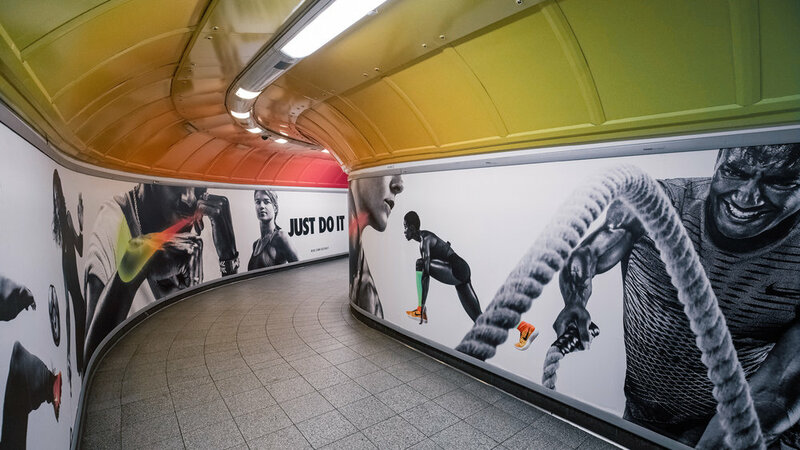 We were asked to take the spirit of the campaign and give it a local edge for Londoners. 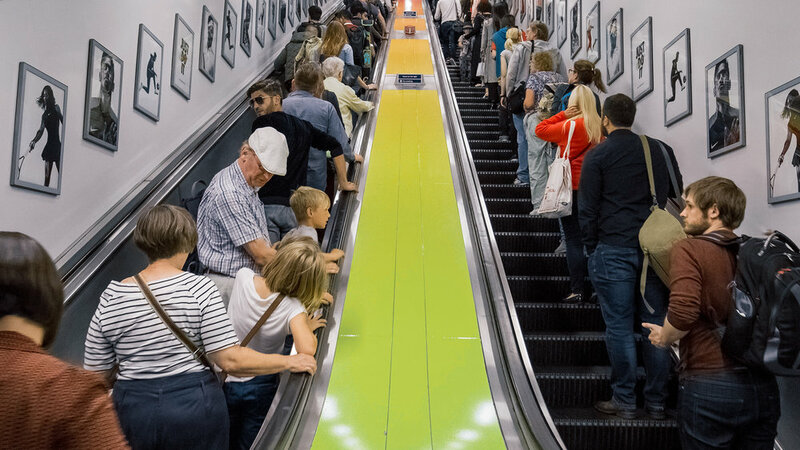 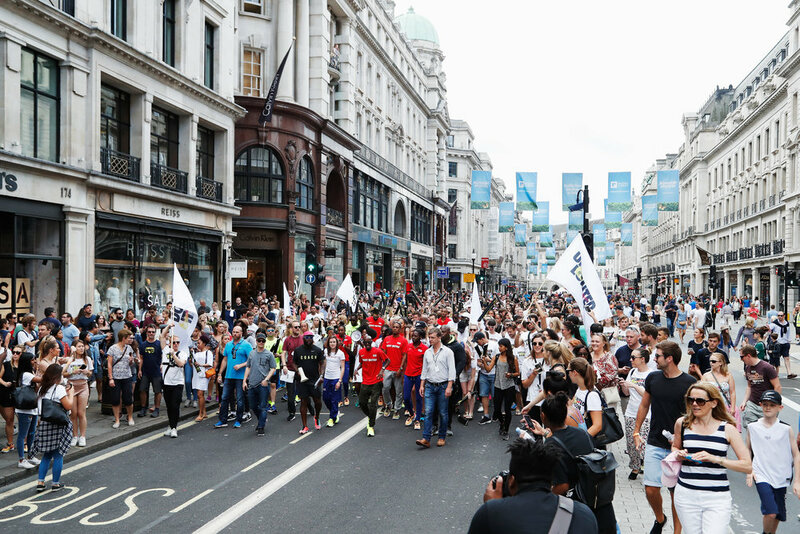 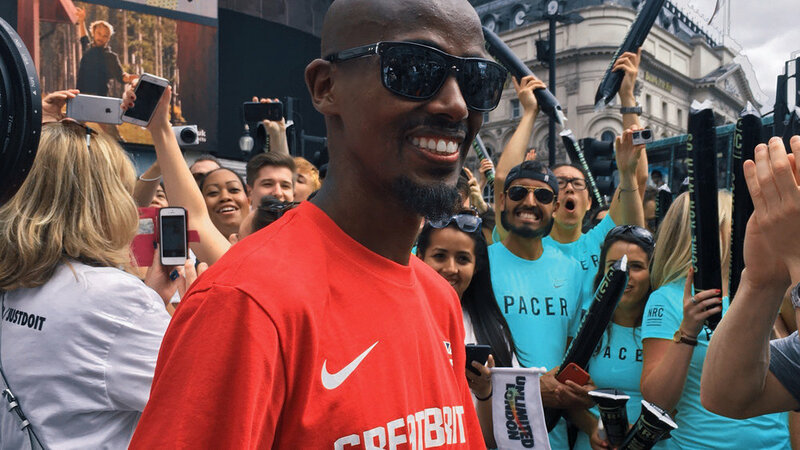 We created a city takeover that included bold design work all over the Oxford Circus and Kings Cross areas, a procession down Oxford Street led by Mo Farah and a manifesto piece that featured on the back page of Time Out and was read to a crowd of thousands by actor Alfie Allen.